The brand represents the comforts of home and nature, drawing inspiration from the subtle beauty that surrounds us in our everyday lives. Elements and influences from around the globe lend a surprising twist to classic styles. ELISABETH YORK offers effortless elegance that comes from layering textures and patterns with an unexpected mix of details. 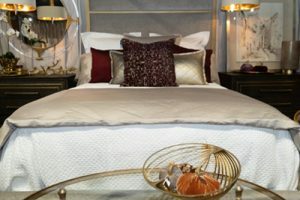 Uniqueness, Comfort, Sumptuousness, Indulgence, Elegancy and Opulence describes BOVI’s quality bedding and accessories for the home. 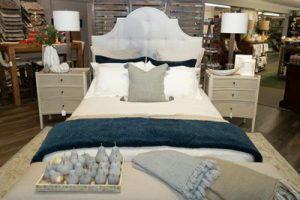 We believe that everyday luxuries like fine bedding and home accessories can be modern heirlooms, and that the items you keep closest to you — sheets, bedding, towels — should be of the utmost quality. Superior Belgian Flax Linens that are sustainably sourced and embody a “lived in” elegant look that is relaxed & casual made of refined, natural, & the highest quality fibers. 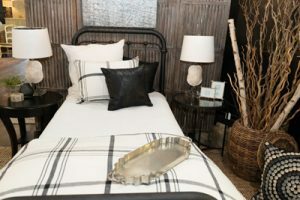 Ann Gish linens, duvet covers, and mitered shams lend richness and extraordinary contemporary appeal to your private space. 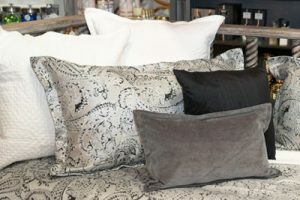 Linens that evoke a feeling of comfort and style with rich fabrics and unique designs. We are passionate about giving our customers the finest in hand crafted, luxury linens. We define our style as Casual Luxury.